You don’t have to eat soba like this enthusiastic lass to enjoy it, although, why wouldn’t you? In the family of noodles soba is the good-natured, wholesome uncle. Made from healthy buckwheat, it’s easy to prepare with a distinctive texture and flavour. Our soba starter kit is a dream come true for you buckwheat lovers, including two different soba varieties and accompanying tsuyu, wasabi and nori. Shop now! Soba is super versatile and delicious hot or cold. Slurp your way through our soba recipes at Japan Centre. Miso soup is sipped, slurped and guzzled throughout Japan. It’s especially popular in the mornings and is known for its health benefits, including high amino acid and omega content (don’t worry, those are good things) . Wanna know a secret? It’s stupendously easy to prepare. We think even a fish could do it. All the bits and bobs you need to cook up a splendid miso soup are right here. Shop now! 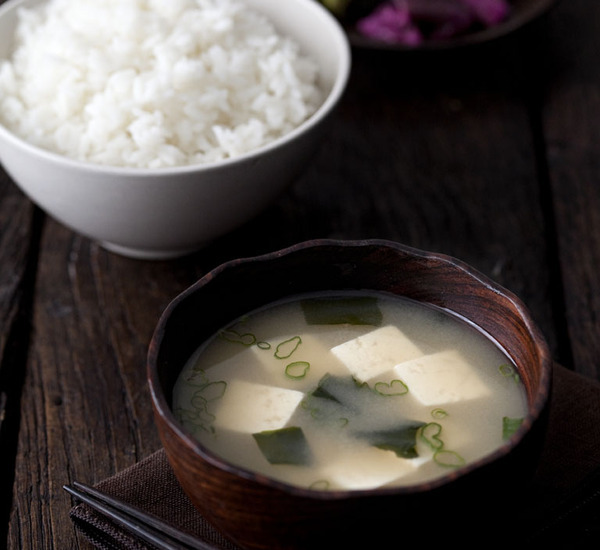 Check our recipe page for super simple miso soup solutions. 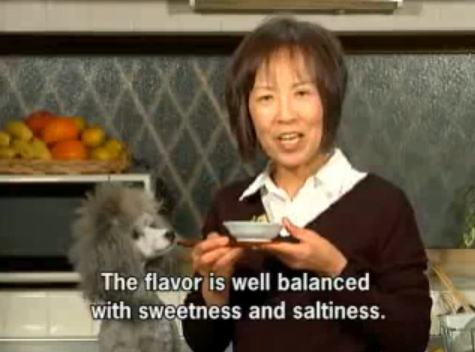 Now our starter kits have set you up on your way to Japanese cooking stardom, rather like the amazing pair cross-species duo at cooking with dog here. The next step is getting the ingredients you’ll always need in your cupboard if you’re serious about Japanese cooking. Luckily, we’ve even got a kit for that! Mirin, rice vinegar, miso, dashi and soy. These bad boys will come up in recipes for Japanese favourites again and again, so make your life easier and get the whole bunch at once with our Japanese Cooking Starter Kit. Shop now! So now you’ve no excuses, we’ve done the hard work for you. Just get stuck in with our food kits and enter the wonderful world of Japanese cooking! Peruse our recipe page and see what cooking challenges call out to you. Remember, we always love seeing what you create with your Japan Centre goodies, so please get in touch and show us what you’ve got! You can find us on Instagram, Twitter and Facebook. Posted in Uncategorized and tagged easy Japanese cooking, Food Kit, Japanese cooking, Japanese food kits, miso, Soba. Bookmark the permalink.